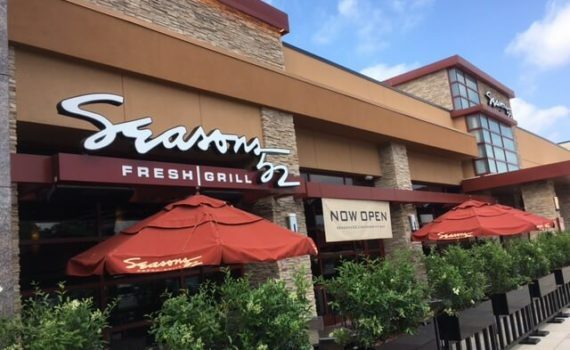 Seasons 52 is now open! In April 2017, the beautiful restaurant opened it first location in North Carolina at Crabtree Valley Mall. Carolina Commercial Systems was awarded the HVAC installation for Seasons 52. Check out the video of our helicopter lift for this project. Send us an invitation to bid for your next project. THE BEST OF EACH SEASON. STRAIGHT TO YOUR TABLE. Seasons 52 is a fresh grill and wine bar that offers a seasonally inspired menu featuring ingredients sourced at their peak. Using rustic cooking techniques, like brick-oven roasting and open-fire grilling over oak and mesquite wood, Seasons 52 brings out the natural flavors of food. The menu is paired with an ever-changing collection of more than 100 wines, with 52 available by the glass, along with artisanal spirits and craft beer. Join us daily for lunch and dinner, or discover Sunday brunch featuring unique Chef’s creation every Sunday starting at 10:00AM. You can also enjoy $5 small plates at our Sunset at Seasons Happy Hour from 4:00PM-6:30PM Monday through Friday. There’s always something new to discover at Seasons 52.